Latvian Folkloristics in the lnterwar Period. Ed. Dace Bula Suomalainen Tiedeakatemia Folklore Fellows' Communications 313 Porvoo 2017, 281 pp. 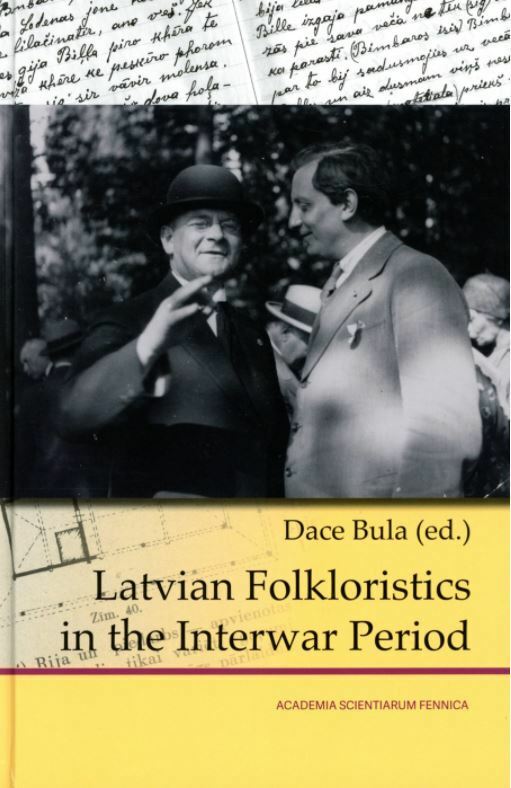 Latvian Folkloristics in the lnterwar Period is a contribution by Latvian scholars to the current reflexive trend of folklore studies toward an intense focus on the discipline's past. lt also joins the recent efforts to broaden the geographical scope of folklore history by concentrating on internationally less represented research traditions. The interwar period in Latvia, as in most European countries, was a formative era during which the patriotic duty of collecting and publishing folklore was transformed into a full-fledged, institutionalised academic discipline. The Archives of Latvian Folklore was established, the University of Latvia began offering courses in folkloristics and ethnography, and Latvian folklorists sought a place in the networks of international cooperation flourishing in Europe at that time. By offering a broad perspective on Latvian interwar folkloristics, this book covers relevant national and international contexts of folklore research, dominant research paradigms and key personalities in the field.